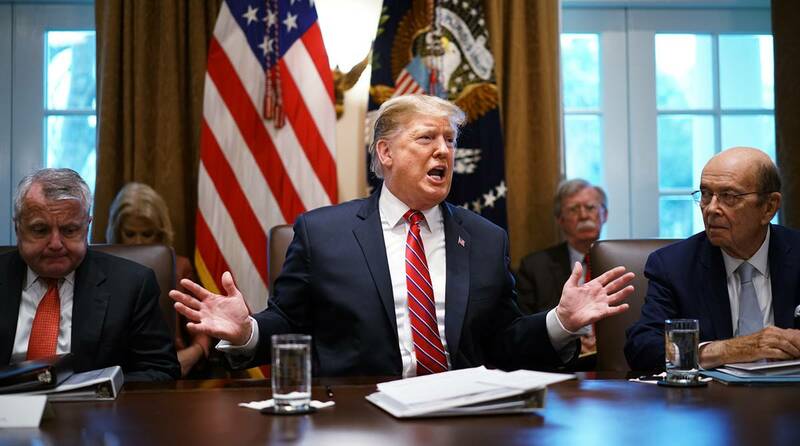 US President Donald Trump will sign an executive order declaring a national emergency, which will empower him to fund the construction of a massive wall along the US-Mexico border to prevent illegal immigrants from entering the country and curb drug smuggling. The move would help Trump get USD 5.6 billion for the construction of the wall that, he has asserted, is essential for national security. President Trump will sign the government funding bill, and as he has stated before, he will also take other executive action – including a national emergency – to ensure we stop the national security and humanitarian crisis at the border, White House Press Secretary Sarah Sanders said in a statement. “The President is once again delivering on his promise to build the wall, protect the border, and secure our great country,” she said. The White House statement came soon after Senate Majority leader Mitch McConnell made the move public. I had an opportunity to speak with President Trump and he, I would say to all my colleagues, has indicated he’s prepared to sign the bill. He also (will) be issuing a national emergency declaration at the same time. I indicated I’m going to support the national emergency declaration,” McConnell said. Senate Minority Leader Chuck Schumer and House Speaker Nancy Pelosi said that declaring a national emergency would be a lawless act, a gross abuse of the power of the presidency and a desperate attempt to distract from the fact that Trump broke his core promise to have Mexico pay for his wall”. It is yet another demonstration of President Trump’s naked contempt for the rule of law. This is not an emergency, and the president’s fear-mongering doesn’t make it one, they said in a joint statement. He couldn’t convince Mexico, the American people or their elected representatives to pay for his ineffective and expensive wall, so now he’s trying an end-run around Congress in a desperate attempt to put taxpayers on the hook for it. The Congress will defend our constitutional authorities, they said. Opposing the proposed move, American Civil Liberties Union (ACLU) said that Trump’s hankering for a wall at the southern border cannot be justified by calling a national emergency. This would be a clear abuse of presidential power one that sidesteps the role of Congress in the appropriation of funds. Shame on any member of Congress who doesn’t clearly and vigorously speak out on this illegitimate invocation of emergency authorities, ACLU said. Senator James Inhofe said Trump had no choice but to declare a national emergency. I want to make sure this declaration has minimal, if any, impact on our military and reimburse all the necessary accounts affected by the decision. As I heard in a hearing yesterday, military housing and all military installations are facing disrepair and poor conditions. We cannot afford to allow them to be further impacted, he said.